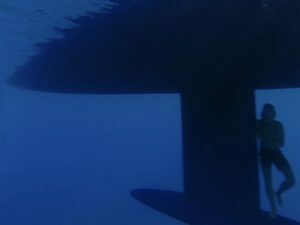 A short video showing the PC66 upwind in about 15 knts of TWS trucking along at about 8.5 knots under full main and jib. 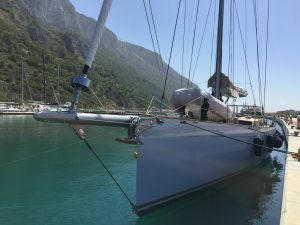 Winter covers are off, varnish and antifoul on and she has gone back in the water last week and we had a tremendous sail on 12-15 knots with a client come over for a test sail. Nice to be back sailing. 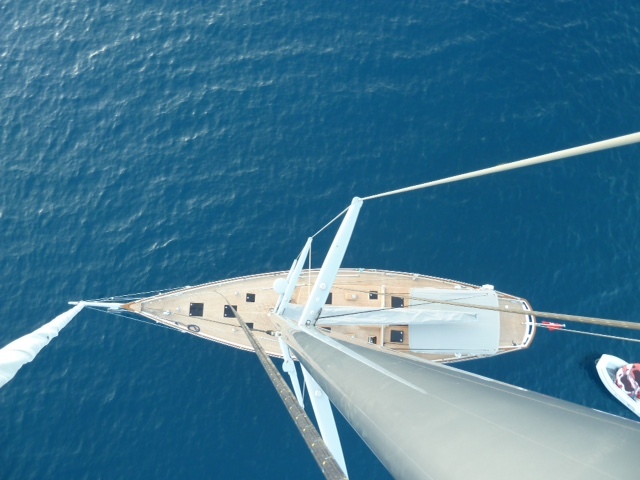 Since Summer still seems to be some time away here are a few pics to remind us of last summer – from the the Keel to the top of the mast ! 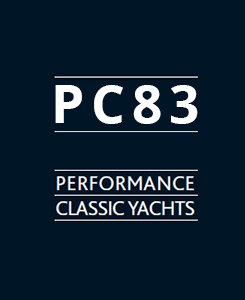 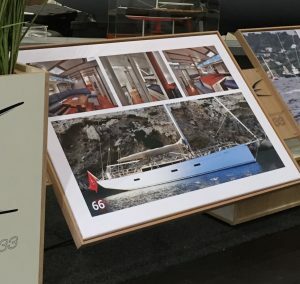 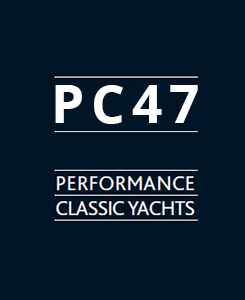 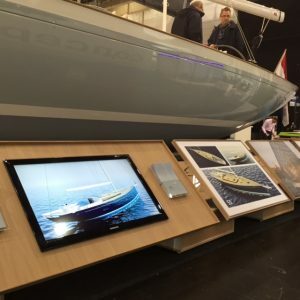 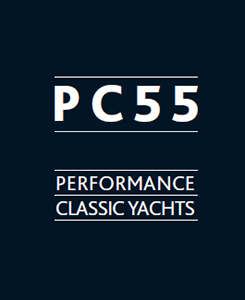 At the end of Jan 2016 we exhibited with Essence Yachts showcasing our 55 and 66 which were very well received. Its a great show and we look forward to Jan 2017 when we will have out own area. 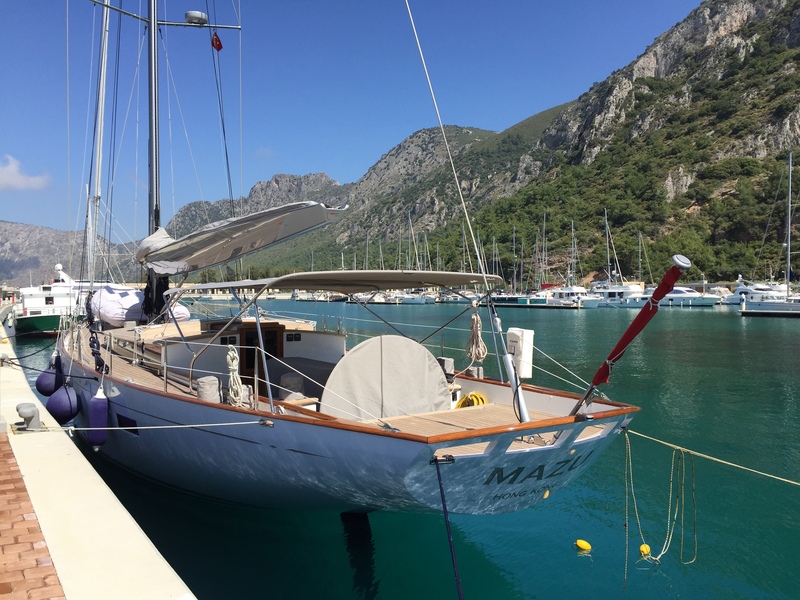 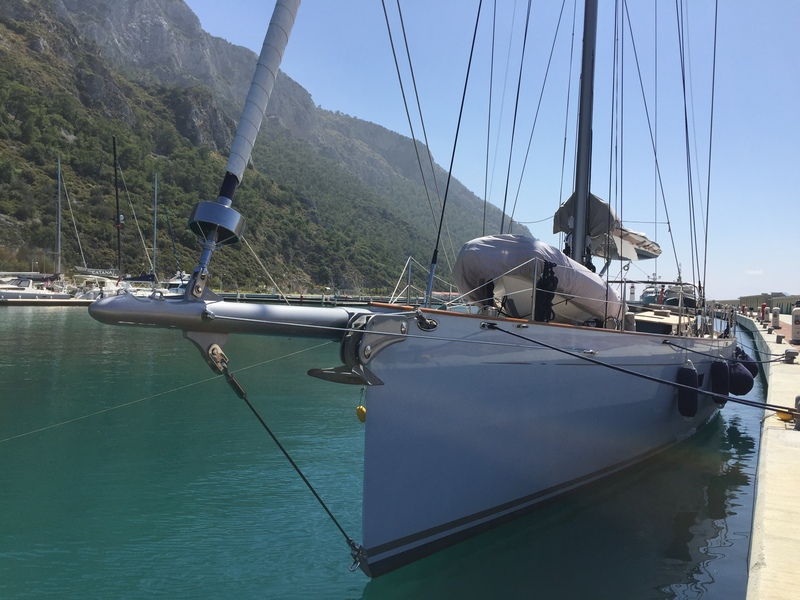 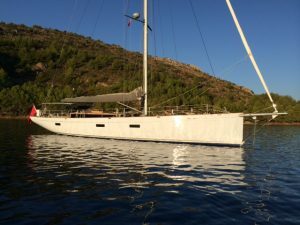 If you are in the market for a 30 foot day sailer look no further than the Essence 33 – really nice boat with those classic Hoek lines, beautifully built and and a nice team of people. 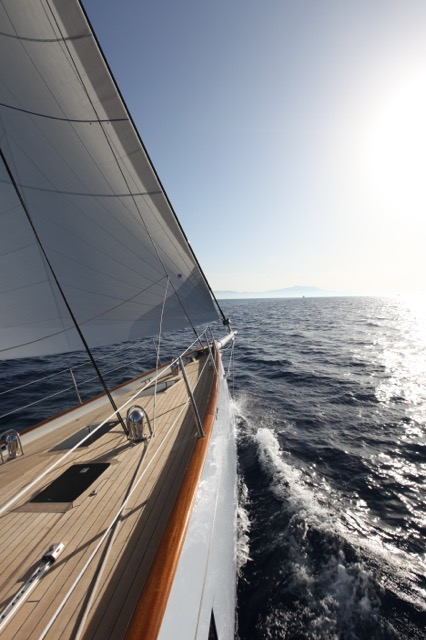 The 66 has had a great summer cruising the fabulous Greek islands and the Turkish coast. 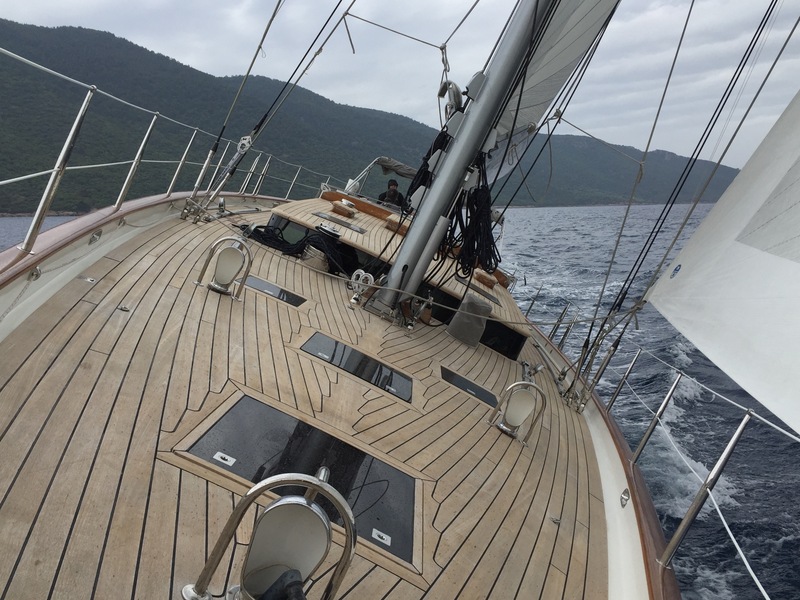 She is proving to be a real pleasure to sail and it all seems so effortless and calm. She has dealt with all sorts of weather this summer from 40 + knots of the Meltimi to flat calms, to the hottest August days to Indian style monsoon rains and come through it all with flying colors. 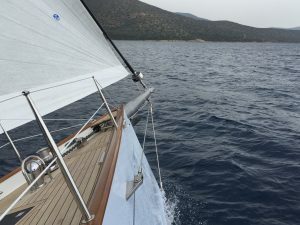 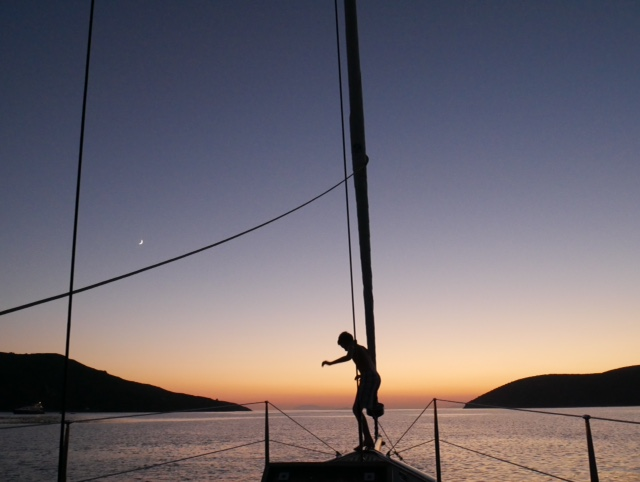 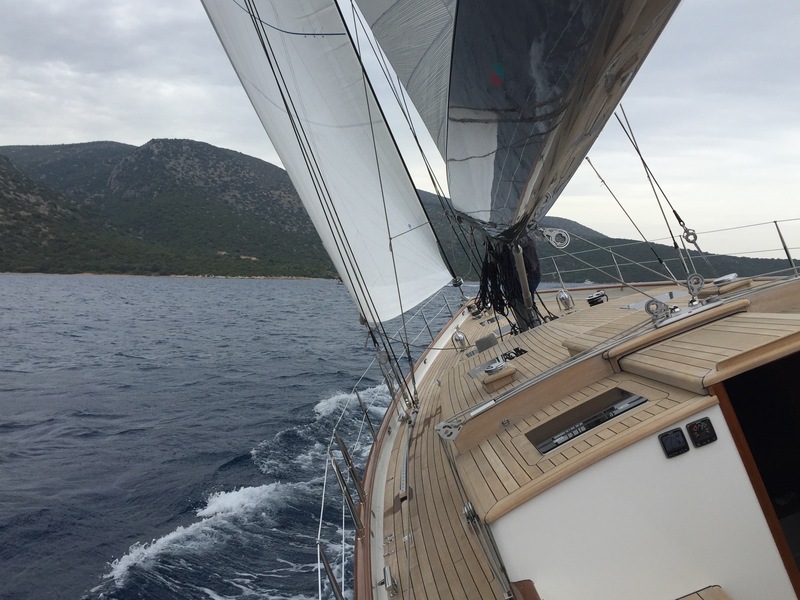 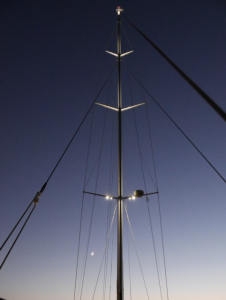 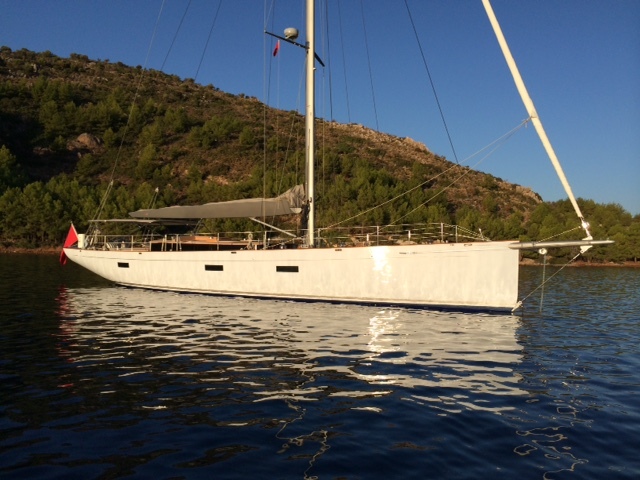 Shes now back in the Bodrum area and will probably again spend the winter ashore. . We had a few little niggles with some Whale and Lewmar equipment but both companies were fast and responsive in getting replacements out to the boat with great efficiently all under warranty – great service ! “MAZU”, the first of the PC66’s has spent the winter ashore near Bodrum under a full winter cover where a remarkably short list of warranty items were attended to by Metur and preparations are now focused on getting her ready for re-launch. 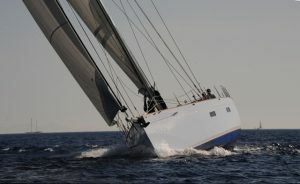 A few pictures of her launch from last year.